Fresh meats are served in lower price thanks to head office ! 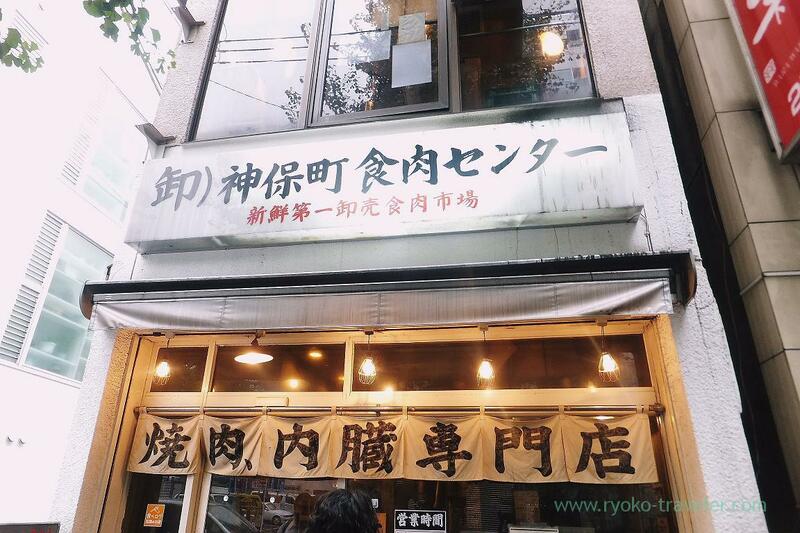 I took a day off for going to Jinbocho Shokuniku center (meatworks) at lunchtime. 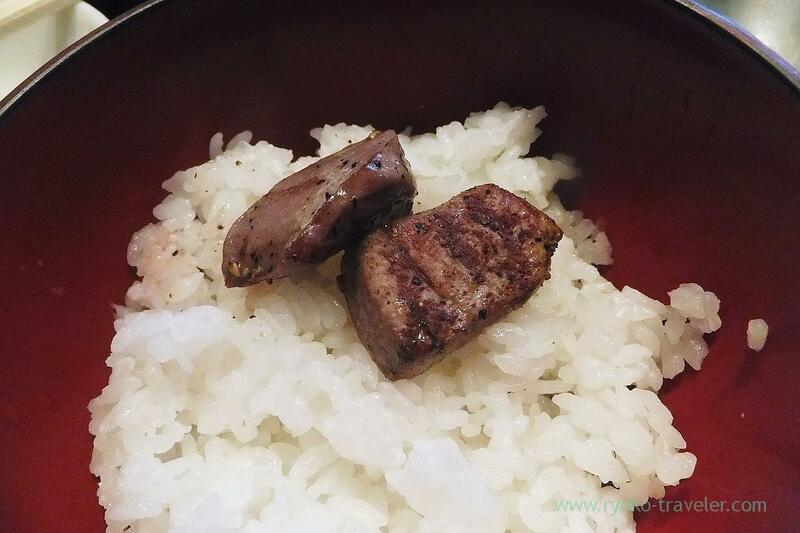 We can eat fresh beef liver and hearts directly from meat market as we want within 45 minutes for 950 yen only. So, there are always many people waiting in front of the shop. That day, we got to there 30 minutes before the opening time, but there were already some people waiting. And almost all people come to there for the fresh liver and hearts meat, so those are soon sold out before noon.So, if you wanto eat liver and hearts meat, you have to get to there earlier. Only 45 minutes. We have not much time. But still it’s enough time to eat meats. 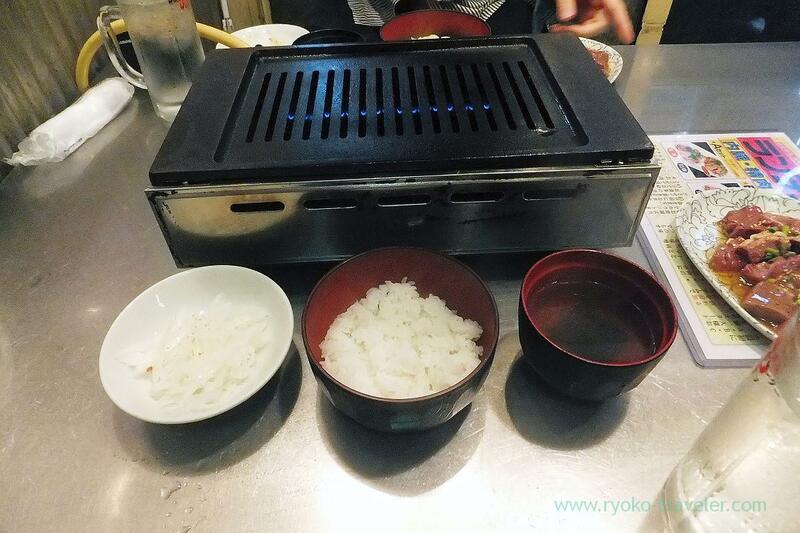 As soon as we were seated, we prepared to grill meat ! From left to right, sliced onions, rice and wakame seaweed soup. After we ordered, our meats were served soon ! We started grilling quickly ! Wow ! Those hearts and liver was so fresh and there were no bad smell ! Awesome ! As soon as we eat it up, we had second helping ! 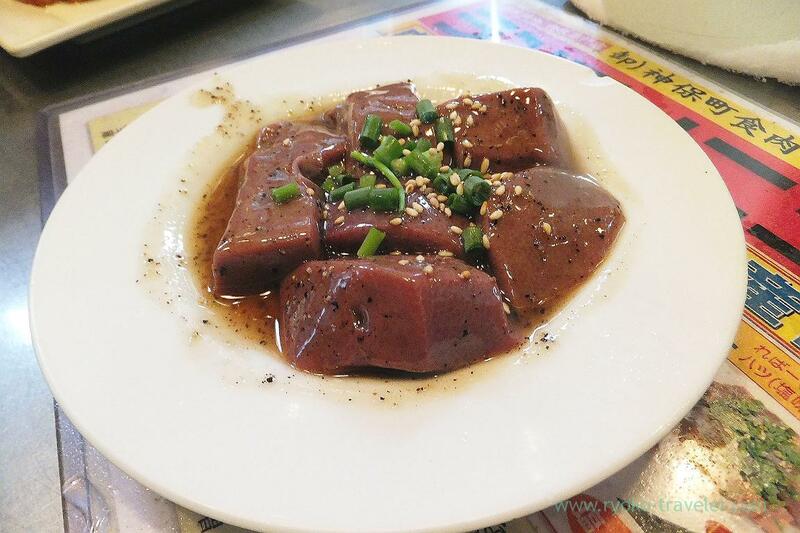 I heard many (especially younger) people eat six or seven dishes of it. 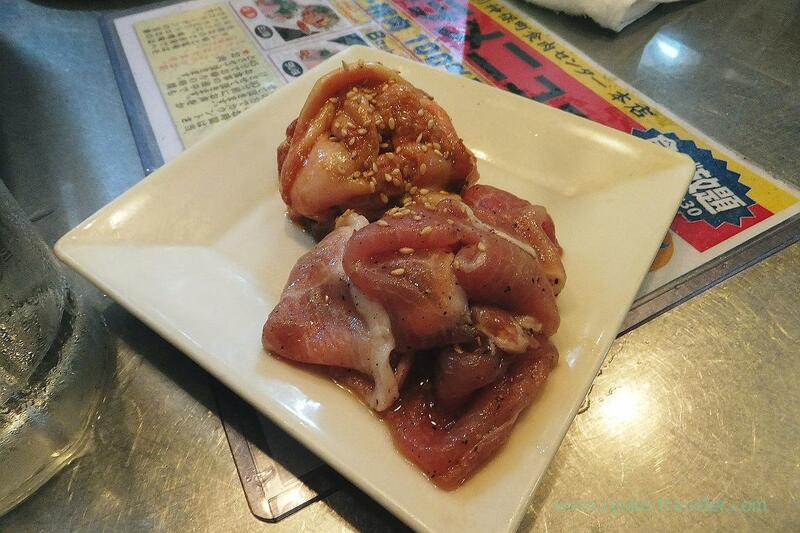 We can’t eat so much, so we enjoyed fresh meat comparative slowly. 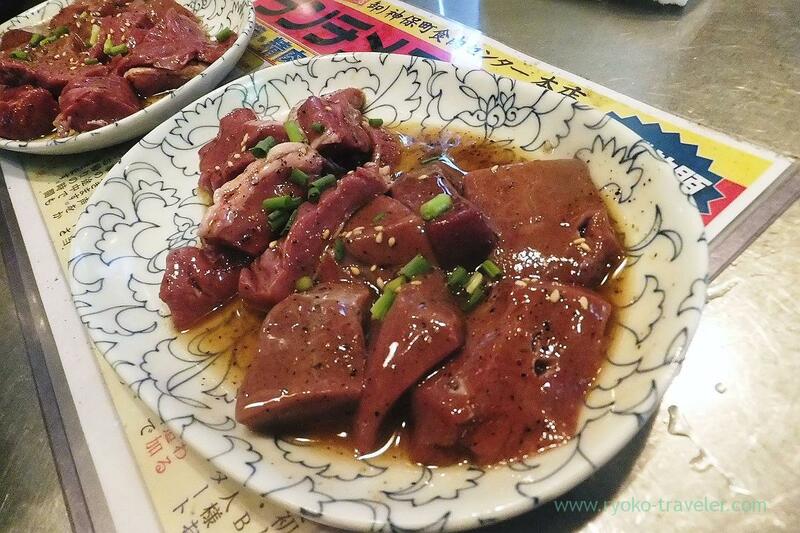 I said about liver and hearts only, but they prepare leg and neck meat, too. Last, we ordered it. We had dessert after a meal at Muusa in Suidobashi. Umm. 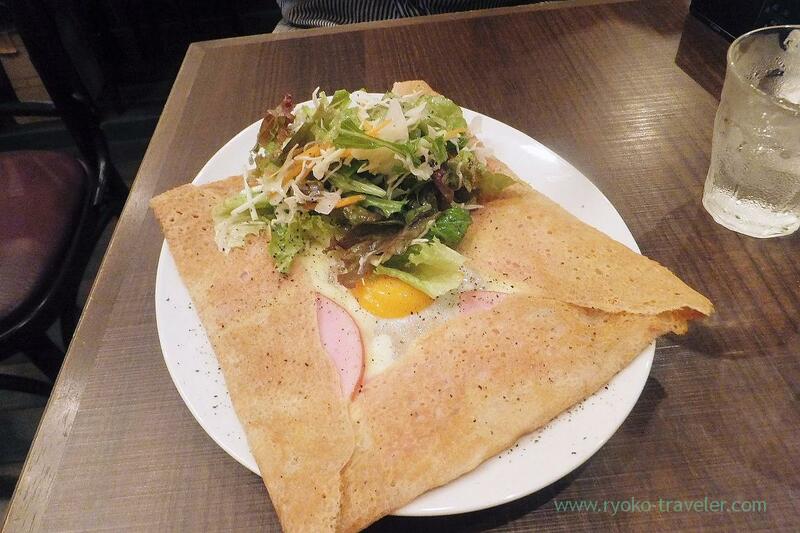 Galette !